The Ethnographic Film unit consists of a core group directly involved in film production and related research. Participation as an associate member of the film unit by those engaged in similar work is encouraged. Contact us at charles.menzies @ ubc.ca for further information. Charles Menzies is a Professor in the Department of Anthropology and the Director of the Ethnographic Film Unit at the University of British Columbia in Vancouver, BC. 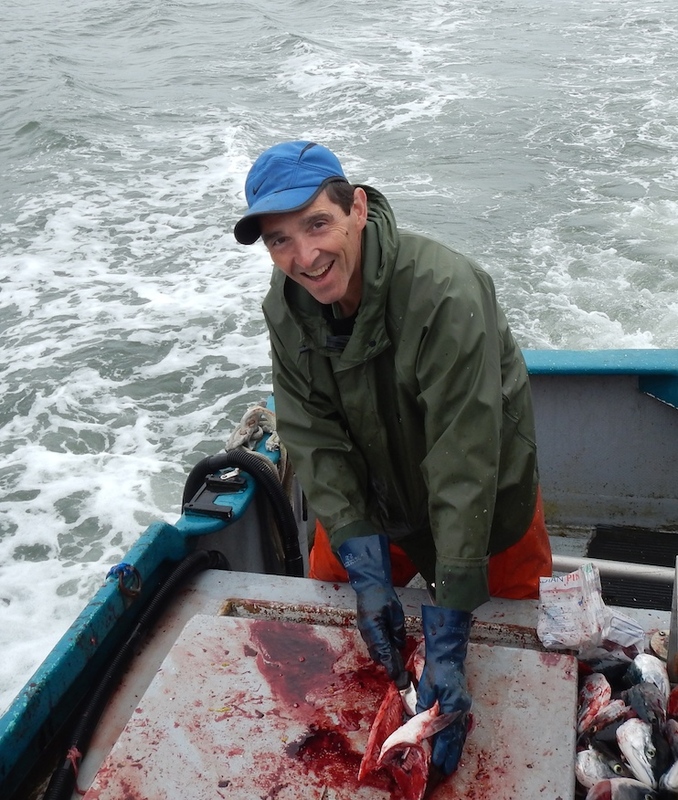 His primary research interests are natural resource management (primarily fisheries related), political economy, contemporary First Nations' issues, and maritime anthropology. He has conducted field research in north coastal British Columbia (Canada), Brittany (France), and Donegal (Ireland). Caroline Butler did her graduate work in anthropology at the University of British Columbia and is currently Adjunct Professor of Anthropology at the University of Northern British Columbia. She lives in Prince Rupert, BC where she has conducted research with commercial fishers and loggers, exploring issues of resource regulation and local knowledge. She has collaborated with First Nations communities in BC, researching natural resource use and employment, Aboriginal fishing rights, Indigneous knowledge and traditional resource management. Denise Nicole Green is an Assistant Professor at Cornell University whose research uses video to explore processes of identity negotiation through the production and use of textiles and clothing. She has created films to accompany various textile-related research projects, including Histakshitl Ts’awaatskwii / We Come From One Root (2010), Fifty-Fifty (2009), Wash & Re-use (2009), Somewhere in Between (2009), and Temporary Clash for Momentary Satisfaction (2006). Denise is also interested in community media production and has worked on interactive media projects with Cornell Cooperative Extension and The Art of Regional Change at the University of California-Davis Humanities Institute. She is currently collaborating with people from the Nuu-chah-nulth First Nation on a series of language education films. Denise received a PhD in Anthropology from UBC where she was a member of the Film Unit, a Master of Science in Textiles from the University of California, Davis, and Bachelor of Science with honours in Fiber Science and Apparel Design from Cornell University. Membership in the Film Unit is open to faculty at the University of British Columbia and graduate students whose research supervisors are Film Unit faculty members. The Film Unit is a self-funding unit. The practical implication of being self-funding is that it is the members of the Film Unit who pay for and raise funds for the operation of the Film Unit. Membership thus entails a responsiblity to support the Unit's budget. Faculty members of the Film Unit will normally contribute funds on an annual basis to support the maintanence of Film Unit equipment and supplies. Film projects are funded on a project by project basis. Student Film Unit members, in collaboration with their faculty research supervisors, have been highly successfull in winning external grants for their film and associated research projects. Membership inquiries should be directed to the Film Unit Director.